The Spanish Federation of Food Banks has been bestowed with the 2012 Prince of Asturias Award for Concord, as made public today in Oviedo by the Jury responsible for conferring said Award. The Jury for this Award -convened by the Prince of Asturias Foundation- was chaired by Javier Fernández Fernández, President of the Principality of Asturias, and composed of Ramón Aguirre Rodríguez, Fernando de Almansa Moreno-Barreda, Viscount of Castillo de Almansa, José Ramón Álvarez Rendueles, José María Arias Mosquera, Rosa Isabel Aza Conejo, Adolfo Barthe Aza, Antonio Basagoiti García-Tuñón, Francisco Daurella Franco, Juan Manuel Desvalls Maristany, Marquess of El Poal; Felipe Fernández Fernández, Pedro Luis Fernández Pérez, José Antonio Fernández-Rivero, Francisco de la Fuente Sánchez, José Luis García Palacios, Agustín Iglesias Caunedo, Alicia Koplowitz Romero de Juséu, Marchioness of Bellavista, Teresa Mallada de Castro, Carmen Moriyón Entrialgo, María del Pino Calvo-Sotelo, Rodrigo de Rato y Figaredo, Matías Rodríguez Inciarte, Ángel Ron Güimil, Pedro Sanjurjo González, Ramón Sotomayor Jáuregui, Antonio Suárez Gutiérrez, José B. Terceiro Lomba, José María Villanueva, Juan Miguel Villar Mir, Marquess of Villar Mir, Santiago de Ybarra y Churrruca, Count of El Abra, Santiago Zaldumbide Viadas and Pedro de Silva Cienfuegos-Jovellanos (acting as secretary). This candidature was put forward by Antonio Trevín Lombán, MP for Asturias to the Spanish Congress. Forming part of the European Federation of Food Banks, which brings together a total of 204 banks from 21 countries, the Spanish Federation of Food Banks (FESBAL) was established in 1996 to coordinate the activities of these non-profit charities existing throughout the country. The European Union covers the cost of approximately half of the food distributed through this organisation in Spain. The Spanish Federation belongs to the European Commission's Expert Committee on Agriculture. The first food bank in Spain was that of Barcelona, established in 1987, an initiative that quickly spread throughout the country. There are at present a total of 54 food banks with a presence in all provinces. The main objective of these organisations is the recovery of food surpluses and their redistribution to the needy, avoiding waste or misuse. Food banks do not distribute directly to individuals, but do so through care and social welfare institutions recognized by government that are in direct contact with the needy. Their activity is based on the following principles: the primacy of the service being free of charge (food is received and distributed free of charge and the work of volunteers is unpaid), the assurance of fair distribution (through legally recognized charitable organisations), the promotion of solidarity and social cohesion (through aid to people with an urgent need for food), absolute professionalism and transparent administration subject to legal controls, and the contribution to sustainability and environmental protection (avoiding the pollutant procedures resulting from the destruction of food). 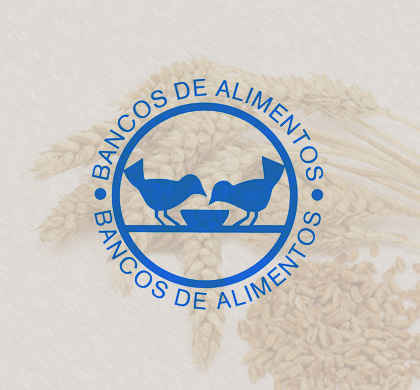 The Spanish Federation is responsible for coordinating the activities of all the banks and for facilitating relations with Spanish and international government agencies, and with other non-profit entities and businesses that make food surpluses available. It also manages public and private aid aimed at providing stores with the necessary technical equipment and addressing financial operating requirements. The banks are organised in areas of supply -collecting food through companies, campaigns or festivals-, distribution -allocating amounts and types of food to charitable organisations-, stock management -food reception, storage and preparation of orders- and administration. The volunteer staff of the food banks is generally made up of retired professionals or those who have taken early retirement who carry out the work of management, accounting, storage, transportation and provisioning, as well as others who provide legal support and public relations services. The banks forming part of the Federation receive donations of products and material contributions from over 3,000 companies and institutions, logistics, transport and construction firms, financial institutions, foundations and media groups or organisations, as well as from private donors. In 2011, the Spanish food banks worked with 7,106 charities from all over Spain, distributing 104,000 tons of food and providing assistance to more than 1,300,000 people. According to the Statutes of the Foundation, the Prince of Asturias Awards aim "to reward the scientific, technical, cultural, social and humanistic work performed at an international level by individual, institutions or groups of individuals or institutions". As part of this spirit, the Prince of Asturias Award for Concord shall be conferred on those "whose work has significantly contributed to fostering peace, the defence of human rights, freedom, solidarity, the safeguarding of heritage or, in general, the progress of humanity". This year a total of 34 candidatures from Arab Emirates, Bangladesh, Canada, Colombia, Cuba, Ecuador, Egypt, France, Germany, Ireland, Israel, Netherlands, Nicaragua, Palestine, Sierra Leone, Turkey, United Kingdom, United States and Spain ran for the award. This is the last of the eight Prince of Asturias Awards to be bestowed in their thirty-second edition. The Prince of Asturias Award for the Arts went to Spanish architect Rafael Moneo, the Prince of Asturias Award for Social Sciences was given to American philosopher Martha C. Nussbaum, the Prince of Asturias Award for Communication and Humanities went to Japanese video game designer Shigeru Miyamoto, the Prince of Asturias Award for Technical and Scientific Research was jointly bestowed on British biologist Sir Gregory Winter and American pathologist Richard A. Lerner, the Prince of Asturias Award for Literature was given to American writer Philip Roth, the Prince of Asturias Award for International Cooperation went to The International Red Cross and Red Crescent Movement and the Prince of Asturias Award for Sports was jointly bestowed on the soccer players Iker Casillas and Xavier Hernández. The awards will be presented in the autumn in Oviedo at a grand ceremony chaired by H.R.H. the Prince of Asturias.